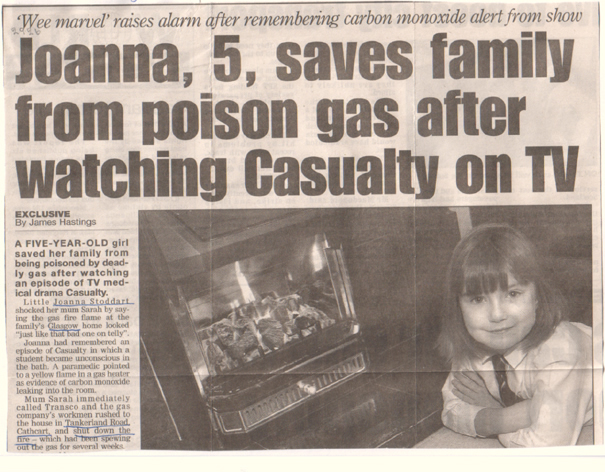 Joanna Stoddard watched an episode of TV’s Casualty in which someone suffered from CO poisoning. She told her mother that their fire looked the same and they had had the same feelings of being unwell. Joanna insisted that her mother call the gas emergency service which cut off the fire because it was obviously dangerous. Joanna was only five years old at the time.